Professionals deserve only the highest quality equipment. That's why we've designed the most solid and reliable smartphone tripod mount in the market. Go mobile with SHOULDERPOD and take amazing time-lapse visual stories, crisp slow-shutter images, perfect 360º panoramas or smooth hyperlapse videos. Mount the aluminum extension and the wrist strap and hold your smartphone comfortably and securely for taking amazing action shots. With the S1 you can hold your camera steady with one hand while using your thumb to tap on the screen. You'll be surprised how far your mobile results can go. The S1 stands on its own, in landscape or portrait mode, so you can use it as a tripod even when you don't have one. Take night shots of New York, time lapse movies of Tokio, HDR pictures at Hyde Park or use it as a desk stand while editing your images at your favourite coffe-shop. The SHOULDERPOD S1 can hold almost any smartphone model thanks to its adjustable grip. Turn the thumbscrew and adjust it to hold your iPhone X, iPhone 8 plus, 8, 7, 7 plus, 6, 6s, 5, 5s, 4, Samsung Galaxy, Sony Xperia, Nokia Lumia, Nexus or any other device. As long as the width of your smartphone, with or without a case is between 48 and 93 mm, the S1 will hold it perfectly. Please check with us the compatibility with extremely thick external bateries such as the Mophie models or some bulky waterproof cases. 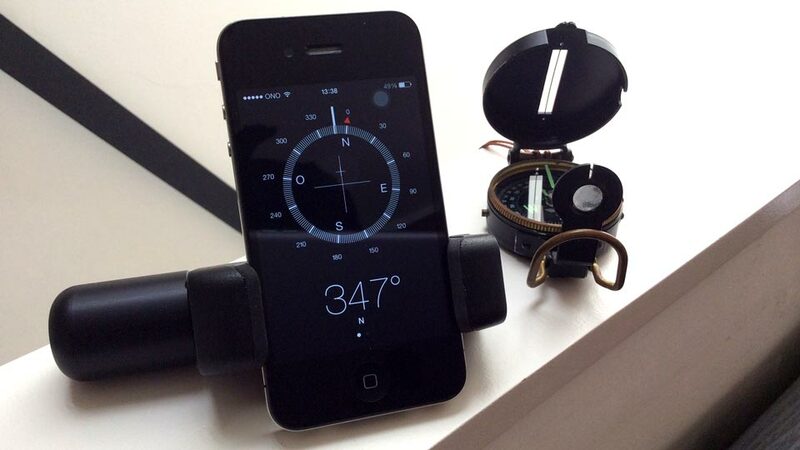 Yes, holds an iPhone Plus or Galaxy Note! The S1 is the first professional tripod mount that will hold all smartphone models perfectly. Even the big ones like any iPhone Plus or Galaxy Note. Do you think your smartphone is too big for mounting it on a tripod? No worries, the S1 will do the job. The S1 grips your devices tightly and securely thanks to its adjustable thumb-screw and its wide rubber pads. Unlike other smartphone holders, the S1 grip can be used for taking pictures or filming even under harsh conditions. It is fast to mount and easy to use. Take it from pocket size to full extension in seconds, no tools required. At Shoulderpod we've partnered with first class European manufacturers for crafting a professional and durable product. The S1 is mould-injected in a high resistant polymer and includes machined brass inserts and soft rubber pads. The grip extension is machined from aerospace-grade aluminum and anodized in a matte black finish. Finally the wrist strap terminal is hand-made in dark brown suede. The S1 comes with a 2 year guarantee against manufacturing defects. The S1 is big in performance and quality but small in size. It's ultra-portable so you can easily slip it into your pocket or hang it from the wrist strap so it's always with you when you need it. The S1 is the perfect solution for travellers, hikers or street photographers who want to take their mobile cameras to the limit without the inconvenience of carrying bulky accessories. ARE YOU A MOBILE CREATIVE? 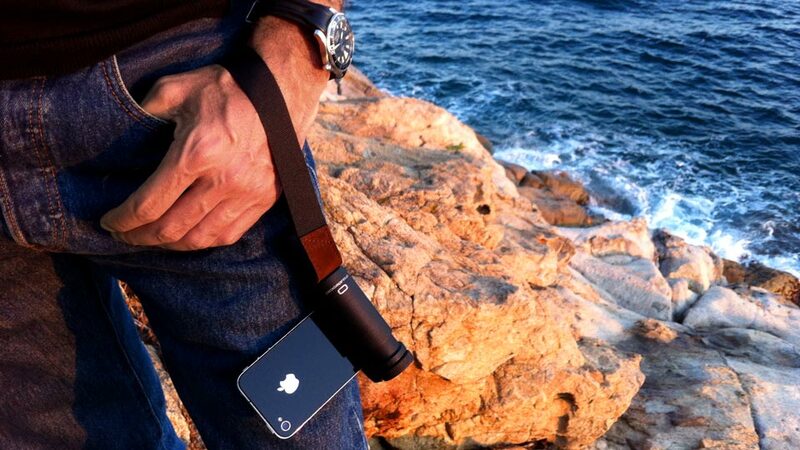 Shoulderpod is a registered trademark of Shoulderpod SL, from Barcelona, Spain. All designs are registered and are protected under the international copyright treaties. All photographs and text appearing in the site(s) are the exclusive property of Shoulderpod SL and are protected under international copyright treaties. All photographs or texts may not be copied, reproduced, redistributed, manipulated, projected, used or altered in any way without the prior express written permission of Shoulderpod SL. By using www.shoulderpod.com you are authorizing us to use our own cookies and cookies from thrird parties so we can offer you better services, better security and improved statistical analysis. If you do not want to receive cookies, please change the settings of your browser or learn more 'here'.